Condo Culture | Two reasons you should join us in Hamilton this weekend! “Steeltown”, “Waterfall Capital”, “The Hammer”, “Toronto’s Brooklyn”, no matter what the name, Hamiltonians are proud of their city. With businesses booming and a number of new condominium developments on the horizon, Hamilton has undoubtedly begun to carve a very unique identity, and we’re kinda in love! Obsessed with convenience and a sense of community, we find many of the things in Hamilton that make us love urban life. Culturally rich, vibrant, urban and diverse. 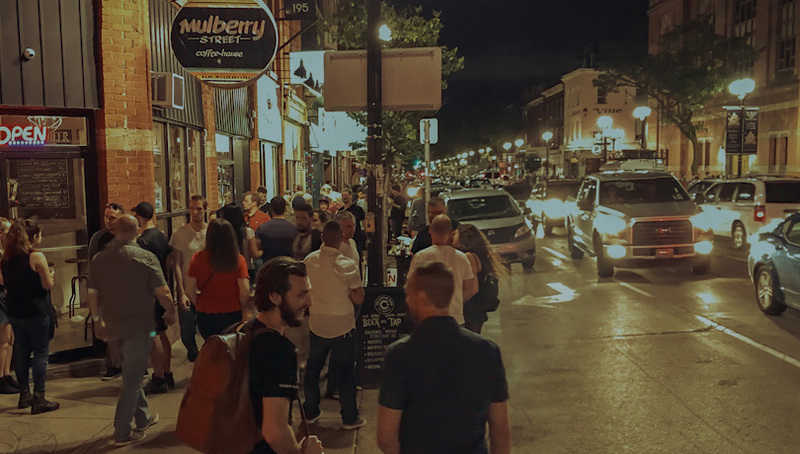 As the James Street community continues to grow, the established Locke Street district continues to be one of Hamilton’s fave hot spots for locals and out-of-towners. Locke Street South is trendy collection of antique dealers, unique boutiques, restaurants, coffee shops and overall healthy living. And as of Wednesday, July 5th 2017, Condo Culture proudly and officially became a part of Hamilton and Locke Street specifically with our new Condo Culture Hamilton location! Organized by the Locke Street BIA for the past 17 years, the Locke Street Festival is one of Ontario’s highly anticipated and largest one-day street festivals. Retailers, cafes and restaurants along the street get into the festival spirit by hosting booths or offering specials the day of the festival. People come from all over (including KW, hint hint) to shop, eat and enjoy a range of live music and performances. With over 200 vendor tents, there really is something for everyone! We are eager and extremely excited to partake in The Locke Street Festival this year and would love the love from our Condo Culture family in KW! Swing by with your friends and family, and let’s make it a great day! We'll be at the store until at least 6pm and then you'll find us out indulging in the festivities. Supercrawl is also another exciting once-a-year event in Hamilton that will be happening this weekend on James Street! One last thing before we kick off this weekend! Downtown Hamilton is developing into a unique and very livable urban centre that offers much of what is appealing about larger urban centres like Toronto and Vancouver, but at a more affordable price point and with lots of room to grow. Whether you come by Hamilton tomorrow for the festival or you’re looking to invest in one of Ontario’s booming markets, drop in, say hi and let’s chat condos. We’ll be offering free coffee and iced capps all day to keep you energized as you take in all this awesome city has to offer. Enjoy the rest of your day and we hope to see you share in the fun with us this weekend!